LE (Compact Motor Driven Pump) | Products | Daikin Lubrication Products & Engineering Co., Ltd.
High consistency NLGI No.2 grease can be used. 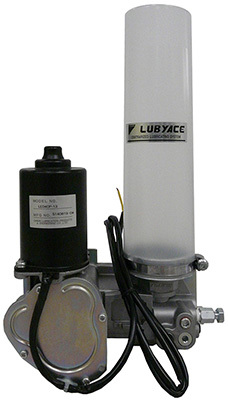 • The motor driven pump eliminates the trouble of replenishing. • Very simple design. Just one pipe on a single line centralized lubricating system. • 2 types of grease replenishment: cartridge and follower plate type. Preventing contamination of dust or dirt without polluting hand. Grease used NLGI No.0 to No.2.